It is the Borderline False Self that houses pathological narcissism. Narcissism, pathological narcissism, is not just found in those who have Narcissistic Personality Disorder. Those with Borderline Personality Disorder (BPD) also wrestle with it as I outline in my newest ebook, available now The Shadows and Echoes of Self – The False Self Born Out of the Core Wound of Abandonment in Borderline Personality Disorder. The core wound of abandonment that is experienced by those with Borderline Personality Disorder is, in fact central to what causes and shapes Borderline Personality Disorder. The pathological narcissism of the borderline false self is at the core of almost everything borderline. “Otto Kernberg uses the term Narcissism to refer to the role of self in the regulation of self esteem He regarded normal, infantile Narcissism to be dependent on the affirmation of others and the acquisition of desirable and appealing objects, which should later develop into healthy, mature, self esteem. The fact that, according to Kernberg, “healthy narcissism depends upon an integrated sense of self” is the first major distinguishing factor for those who are diagnosed with Borderline Personality Disorder. Those who have BPD – borderlines – lack a known or developed self and have no sense of a self that they could integrate anything with or into. The reality of the arrested emotional development of those with BPD, caused, largely, if not entirely, by what I have termed the core wound of abandonment results in the psychological death of the authentic self that was emerging pre-abandonment trauma. The borderline false self rises out of the void left by the evacuation of the authentic self that has left a space where that self was meant to be. What makes the borderline false self a ‘self’ of sorts that houses pathological narcissism it the reality that it is a pseudo self that was born out of the trauma of the core wound of abandonment. It rises from the juncture at which the lost authentic self was unable to psychologically survive and continue to develop. Therefore, this borderline false self does not have any previous development. It assumes control of the borderline, if you will, with only infantile narcissism in tact. The arrested emotional development ensures that the borderline false self does not mature beyond the point of the core wound of abandonment. Thus this narcissism, experienced by borderlines through this false self personality organization is pathological, as Kernberg outlines. 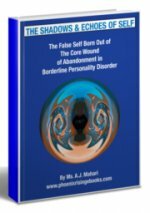 In my ebook, The Shadows and Echoes of Self – The False Self Born Out of the Core Wound of Abandonment in Borderline Personality Disorder I outline the similarities and even more importantly the differences between Borderline Personality Disorder (BPD) and Narcissistic Personality Disorder (NPD). While these two personality disorders are classified in the DSM-IV in the Cluster B designation, and have things in common they do have stark differences and are not one in the same. The way or reasons that the pathological narcissism in the borderline false self manifests is not the same as the way or reasons the false self in those with NPD exhibit and manifest pathological narcissism. While narcissism has long been described as grandiose self-love where one has a high regard for oneself, the truth about it is that whatever a person presents, be it based on an image, an ideal, a contrived self, and so forth, in those with NPD or BPD, is usually manifested to cover up a very lacking sense of self in the case of BPD or a very lacking ability to see one’s real self (usually false self) in NPD as well. Those with NPD need to keep their image of self in tact no matter what and no matter how far from the truth of who they really are that their image is. Borderlines, on the other hand, lack a known self, don’t know who they are, aren’t sure what they like, or don’t like, need or want, or don’t need or want – they feel as if they do not exist unless there is someone – an object – to project the ‘self” (such as it is) onto. For the borderline “narcissistic supply” offers assurance of actual existence and is often a way for the borderline false self to rid itself of excesses of anxeity and/or neurosis. The getting rid of borderline abandonment depression, abandonment trauma, is temporary and therefore must be attended to almost constantly. Most borderlines, until and unless they make progress in therapy, are afraid to be alone and don’t know how to tolerate the distress that being alone or the fear of abandonment and/or rejection produces. Therefore, the pathologically narcissistic borderline false self is always on the prowl for “other”. “Other” to the borderline is essentially the “narcissistic supply” required for the borderline to feel real. 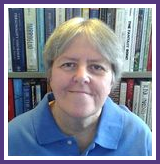 Borderlines (who have not had success in therapy) live in the absence of a known self and that means that when they are alone they are likely to be, in one way or another, to one extent or another, and unbeknown to them consciously, re-experiencing their original core wound of abandonment trauma. The core wound of abandonment is a narcissistic injury or wound and it emotionally arrests the development of the authentic self leaving a vacuum that gets filled by a false self – a protective self, that uses what are known as narcissistic defenses to defend against what is essentially the recapitulation of the original abandonment trauma that, for all intents and purposes, created this false self in the first place. The borderline false self houses pathological narcissism. Most people with BPD are not aware of the level of their narcissism. This false self narcissism in BPD is all about protecting the borderline from the original pain of the core wound of abandonement – pain that for those with BPD is often not something that they are consciously aware of. It is pain that is abandoned pain. It is not the goal or agenda of the false self to be aware. It exists to protect in a way that ironically enough it perpetuates borderline personality disorder and the cognitive distortions, rage, and many other borderline “ways of being” that continue to rupture most, if not all, of the borderline’s attempt to relate to others. It ensures that whatever relationships may continue do so in unhealthy ways. As I experienced it, the central battle for change and recovery when one is borderline, revolves around the degree to which the borderline can become increasingly aware of this false self and its pathological narcissism and narcissistic defenses. It is this awareness, coupled with the practice of mindfulness and radical acceptance, along with all of the other wonderful Dialectical Behavioral Training Skills (DBT Skills) pioneered by Dr. Marsha Linehan, that are most effective at creating an internal environment inside of each person with BPD in which they can learn to face, accept, and tolerate the awareness of this false self, and the abandoned pain of one’s original core wound of abandonment that perpetuates the repression of the borderline’s lost authentic self. Once this hurdle is surpassed, the road to recovery is at hand and it involves the quest and journey that is the finding and reclaiming of the borderline’s lost authentic self. Underneath everything borderline, the reality that I came to discover in my recovery, really wasn’t all that complicated. It was difficult and harrowing at times, yes, but really not such a mystery after all. The journey of my ebook, The Shadows and Echoes of Self – The False Self Born Out of the Core Wound of Abandonment is one that points to one of the most central and pivotal milestones of what can be an incredible journey – namely coming to understand, acknowledge, and be aware of one’s pathologically narcissistic false self and what that means to the process of recovery from Borderline Personality Disorder.